This situation is all too common for many high school coaches and programs hoping to capitalize on new levels of ability. New gains can be realized in a variety of ways, some more traditional or obvious than others. Here are a few ideas that should help bridge the gap between the cross country and track seasons as far as keeping athletes on a nice path of progression. Anymore, there is no shortage of post season racing opportunities. Many high school state meets wrap up in late October or early November. In the ensuing weeks, there are regional races from a variety of organizations and entities around the country – USATF, Nike, and Foot Locker to name a few. Many of these meets serve as the qualifying round for a national championship. This however should not be a deterrent from participation; one does not need to be an elite high school runner to attend. These events offer several divisions of competition: “championship,” small school, and age group to name a few. Finding the appropriate level of competition should not be difficult. If travel to one of these meets is not possible, look to local turkey trots, snowman stampedes and resolution runs for competitive opportunities. While most local road race scenes slow down during the colder months, they don’t go dormant- so your athletes don’t have to either. There are often ample events throughout November, December and into January to keep kids busy. 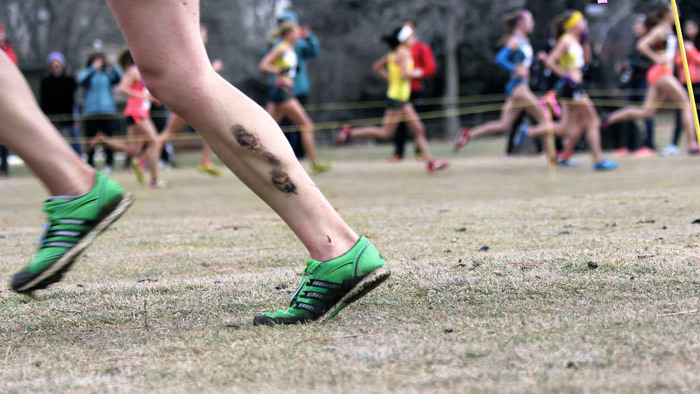 Lengthening the competitive season may seem risky to some, but in reality, most kids don’t get into cross country for the training, they like to race. So offering a few races over 2-3 months is a great way to help remind kids of what they love about running in the first place. Additionally, these kinds of events can serve as team building activities. Have your team dress up like turkeys or snowflakes and do the run for fun. With a little bit of looking, it won’t be hard to find a multitude of competitive opportunities after the state meet, thus making it easy to extend the cross country season. As a coach, committing yourself to another 4 to 8 plus weeks of practice may present challenges in a variety of forms: financially, time commitments to family or work, or anything else you would prefer catching up on after the season. These are the realities of many high school coaches. If you find yourself in this position, look to other in-season coaches and their sports to keep kids active and engaged. Traditional winter sports like basketball, swimming, and even wrestling could be potential options. The approach should be as follows, some form of physical activity is better than no physical activity. Participation in sports that require movement in multiple planes can pay dividends from a physical literacy perspective. The concept of physical literacy, moving with competence and confidence in a variety of ways based on one’s environment, may be lacking with some runners. Distance running, for the most part, is a simple activity. It is the repetition of relatively low amplitude movements over and over. However, when athletes don’t engage in different movement patterns they become susceptible to injury. From a performance standpoint, movement (running) can become more purposeful with physically literate athletes, thus reducing the chance for dysfunctions that lead to injury. Proper mobility and whole body coordination should create the ability to move effectively and efficiently even with a simple task – running. As long as kids are active, one does not need to worry that athletes are not running over the winter months. As the primary running coach, if your responsibilities take you elsewhere, know that multi-sport kids are still “training,” and this will likely have them prepared and ready to go once track starts. If coaching during the post-season isn’t a viable option and some athletes elect to not participate in another sport, providing a structured training plan for the time that exists between the cross country season and the start of track is a good option. While some athletes may struggle without the supervision of a coach on a daily basis, offering a plan allows for athletes to take ownership of their preparation. This concept may be more valuable for some athletes and their development than the actual physical training. Successful programs have the ability to create autonomy within the boundaries of their culture. If a solo training program is provided and clear expectations are expressed about the program, this could be a step for a burgeoning athlete or program to improve. Both competitively due to consistent training, and by creating athletes that can act independently to benefit something greater than themselves. On the physical training side, off-season programs can range from cookie cutter to highly individualized in their design. With our initial premise that time may be a limiting factor for the coach, hold fast to the notion that “something is better than nothing.” As the coach, if a simple plan is what you can offer, focus on the fact that you are providing something. If it is possible to produce something more individualized, the suggestion would be to create plans that look to progress weaknesses or problem areas with athletes. Certain athletes could be new to the program, healthy, but “aerobically malnourished.” A plan that looks to increase their overall running volume would be appropriate. If an athlete struggled to remain healthy with their training load during the cross country season, increasing the load during the off season probably isn’t the best idea. Instead, a plan the looks to address the root cause of injury – probably linked to posture, coordination, mobility and maybe even strength – should be implemented. Helping athletes progress from one season to the next can happen in a variety of ways. As a coach, part of our job is to understand and guide this process. We also have to realize our constraints. Don’t sacrifice your personal health, relationships or enjoyment of the sport. However, don’t allow those factors to be an excuse for idleness. Jeff Boelé has been coaching in varied capacities since 2000. Since 2010 he has served as an assistant' coach for the cross country and track & field teams at Lyons high school in Lyons, CO. He has earned certifications for endurance events and jumping events from the USTFCCCA and USATF. Jeff ran into the sunset of his competitive career in 2010. Jeff is available for coaching through the TrainingPeaks Coach Match Service. You can also use his preassembled training plans, found'here. 'When not coaching, Jeff spends time with his family in the Colorado mountains or trying to whittle down his ever growing reading list. 'Follow him on twitter @JBoele2go.